Do you regularly spend time searching for lost items in your home? Do you feel like you’re constantly running around in circles but the house just doesn’t seem to stay clean? Or maybe you’re so overwhelmed with housework that you gave up a long time ago. I used to feel that way too (more about that next week). For now, I want you to know that I get it. I know what it’s like to feel like you’re drowning in clutter, panicking when company wants to go to a certain (very cluttered) area of your home. I know. It’s embarrassing. And time consuming. I want you to know that you don’t have to feel that way forever. You can make your home into a haven. Don’t worry about how bad it is right now. Don’t focus on your entire house at once. We’re going to take this one day at a time. I’ll continue with more in-depth thoughts and plans next week, so don’t overwhelm yourself. Start small. 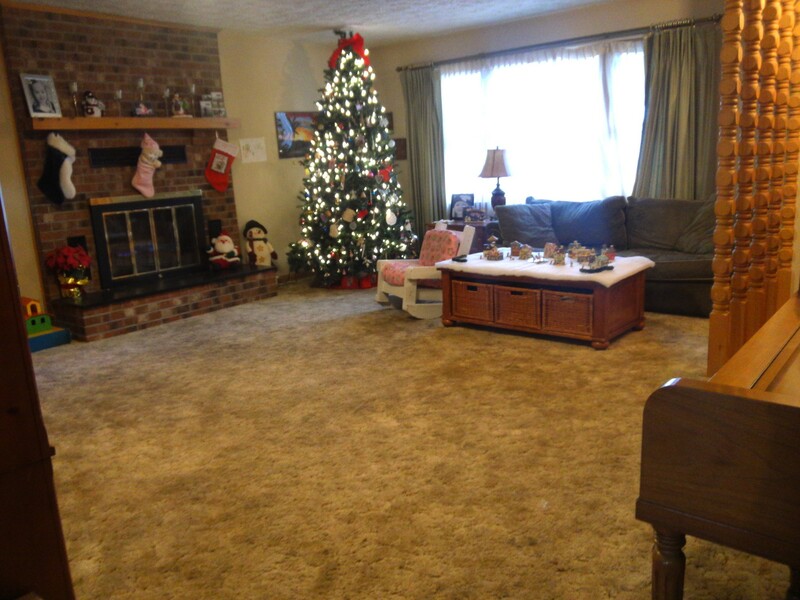 1) Put your Christmas items away if you’re finished with holiday celebrations. This includes the tree, gifts, any wrapping paper that’s been left strewn about, and all other decorations you have up. 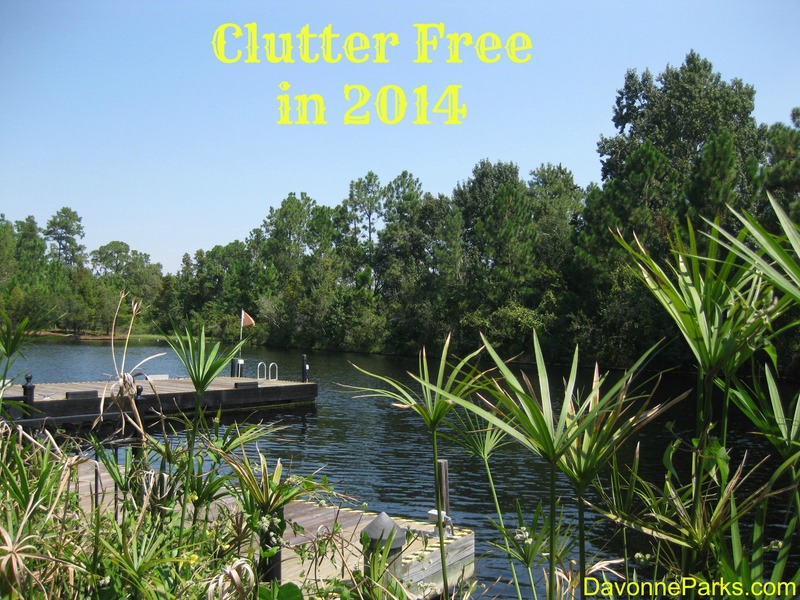 Give yourself the gift of a fresh start for this declutter project. 2) Tidy up the main living areas of your home. Clean your living room, kitchen, main bathroom, and any other room that you can’t close a door to if someone stops by. Don’t worry about scrubbing floors or organizing drawers and clutter piles – we’ll get to those later. 3) Start thinking about why you want to have a clean and clutter-free home. For me, I want a clean home so that my husband has a nice place to relax in when he arrives home from work. I also want to welcome unexpected company without embarrassment and I want to set a good example for my children as I teach them to take care of their things. I don’t want to waste time looking for needed items that are lost in clutter. I want to bless others with items we have that aren’t being used. Above all, I want to recognize that my home is a gift and I am blessed to have somewhere to live and take care of. Your reasons may differ from mine, and that’s perfectly okay but if you want a clean home, you need to know your reasons so you can stay focused through this declutter project. Check back for Part Two on Monday. In the meantime, I’d love to hear your thoughts about this. What are your biggest hurdles when it comes to housekeeping? What areas would you specifically like for me to address? Please leave a comment or e-mail me so I can help as much as possible! I am so excited for this series! My biggest hurdle is TIME. I have a 3 year old and twin 10 month olds that keep me busy! 🙂 However, I know that if I can find the time to put into organizing and implementing new systems, it will pay off and I’ll get that time back when I am able to care for my house and family more efficiently. Looking forward to your tips! Thank you so much for your feedback, Sierra! I love your suggestion and will definitely write a blog post this month about making time to organize with little ones underfoot. I hope this series is a blessing to your family! I’m sure you do! Enjoy those babies!